Hooray for birthdays! I could always use an excuse to bake. This week, I whipped up carrot cupcakes with cream cheese frosting for one friend and sugar cookies (from i am baker) with powdered sugar icing (adapted from i am baker) for another friend. 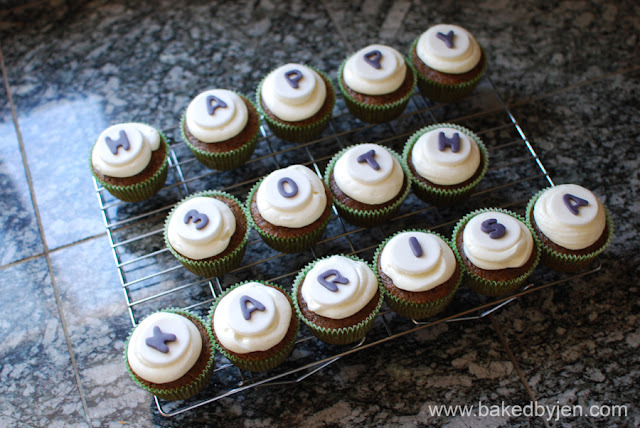 Given I've already made these exact cupcakes a few times for this one friend as they are her favorite, for her birthday, I personalized them a bit with marshmallow fondant toppers. As for the cookies, I found this 4 piece set at Michaels that included a cake, a cupcake, a gift box, and a party hat cutter. The dough was a lot easier to work with than the dough I used for the Star Wars sugar cookies. 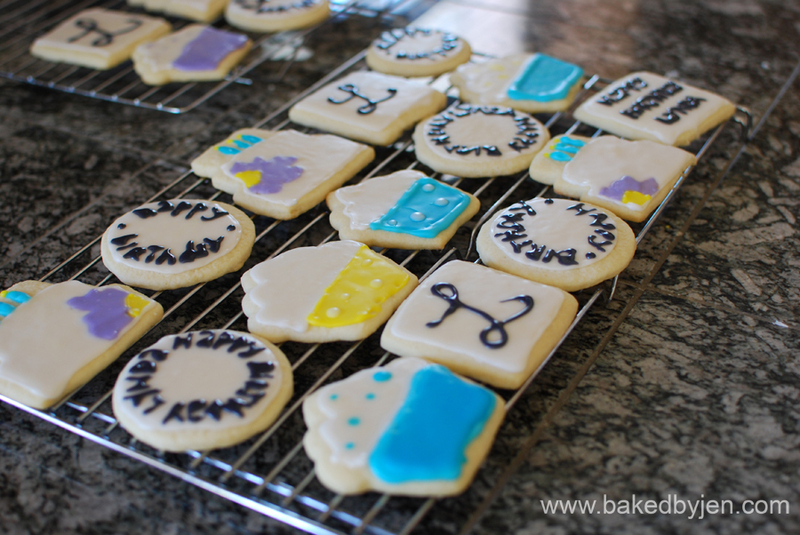 The powdered sugar icing was less fussy than royal icing but still held up really well too. I could see more sugar cookies in the future with these results. what a beautiful way to say "Happy B-day"